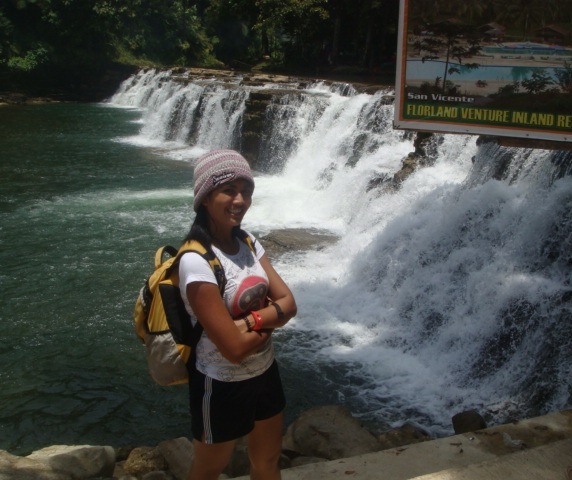 Surigao Tinuy-An Falls: Philippines’ Little Niagara | The Adventures of AdventuRoj! Situated at the Southeastern coast of Mindanao facing the Pacific Ocean, Surigao del Sur’s Bislig City is 158 km south of Butuan, 152 km south of Tandag City and 208 km northeast of Davao City. It may be reached via a 6-hour bus ride from Davao or a 5-hour bus ride from Butuan. 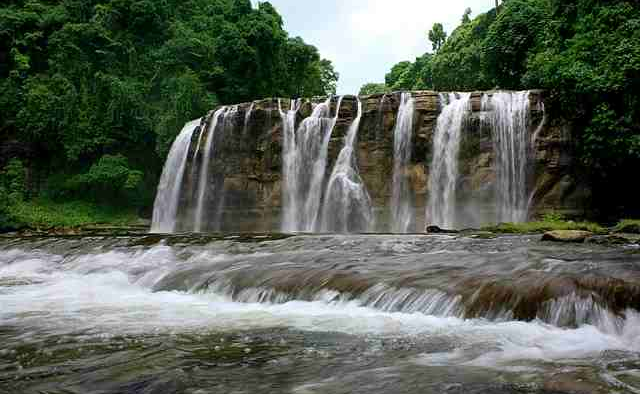 Dubbed as the “Little Niagara of the Philippines,” Tinuy-an Falls is a spectacular three-tiered falls (there is a fourth hidden from view) about 55 meters high and a breathtaking width of 95 meters, said to be the widest in the country. Centuries old amazing giant trees, ferns and vines in a thick rainforest envelop your ride through thick forested hills that enclose the falls. Islets are on the swimming ground, with slippery logs where you can cross for a good view, plus multi-layered stones as pathways. The best part for swimming and bathing is in the second level. 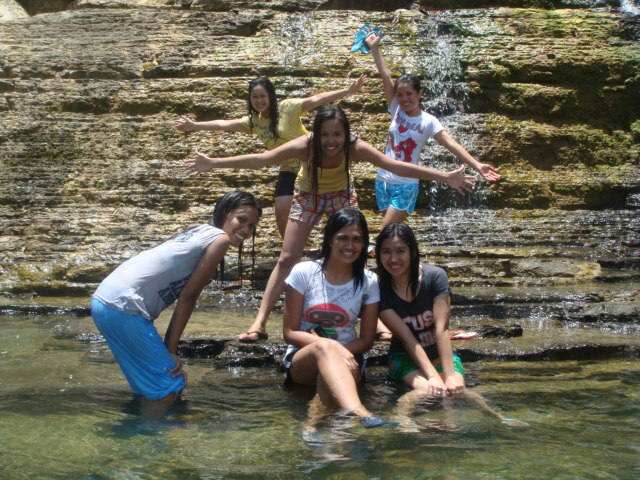 There we took lots of pictures and enjoy the cascading waters. 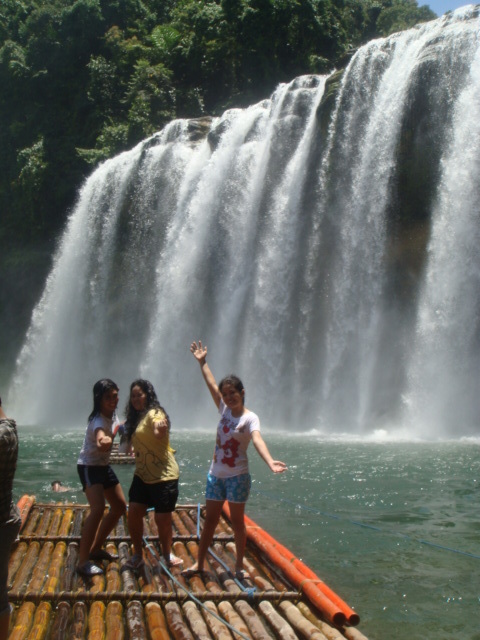 You may also rent a bamboo raft that would take you towards the falls. 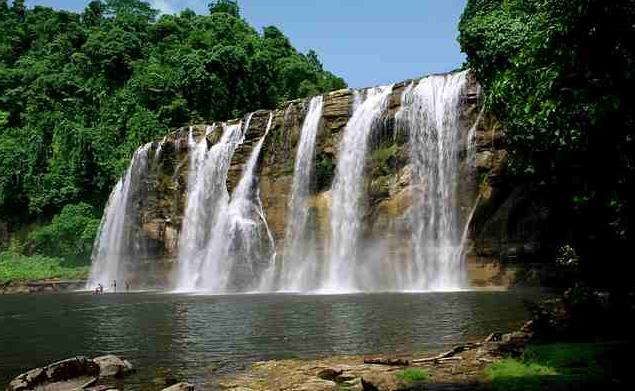 There you can enjoy a refreshing shower massage under the falling waters of Tinuy-an Falls. 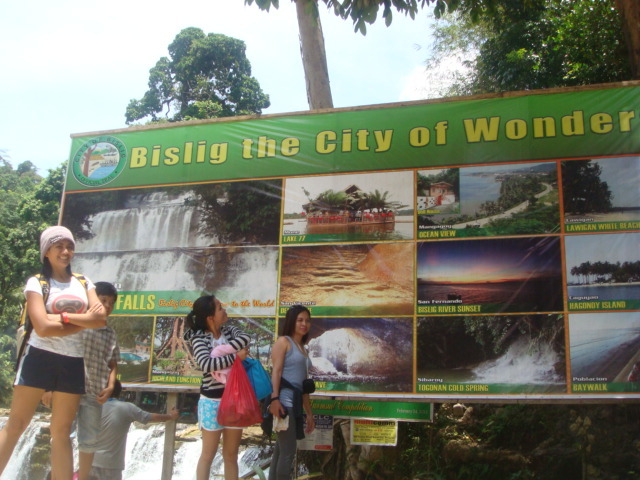 Bislig City is a good 7 hours ride from Davao City, but will take less if coming from Surigao City. Airconditioned bus ply the routes of Davao-Bislig daily at 2am and 9am (P320), while nonaircon buses travel at hourly intervals at 3pm last trip for P282. But if you’re coming from Butuan, you may also take the Bachelor Bus for the 5-hour travel to Mangagoy, Bislig, Surigao del Sur. 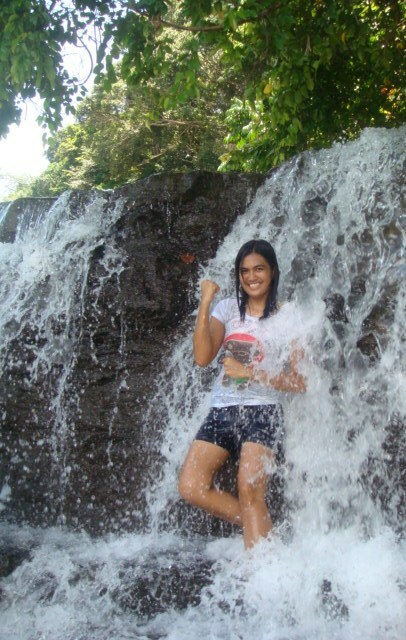 You will forget the bumpy, adventurous ride once you see one of Mindanao’s absolutely beautiful hidden treasures. And for us who just came from another hidden wonder, the Hinatuan Enchanted River, our eyes were still glazed over from one spectacular sight to another. Hi, very informative blog here. Would like to know the month you came here. Im checking the best time to go to Tinuy-an when the flow of water is just right and still able to see the mountain walls. Some says it’s rainy days but i think water flow by then is very heavy. Also Surigao City airport is too far from Bislig compared to Butuan and Davao is it really an option when traveled by plane? 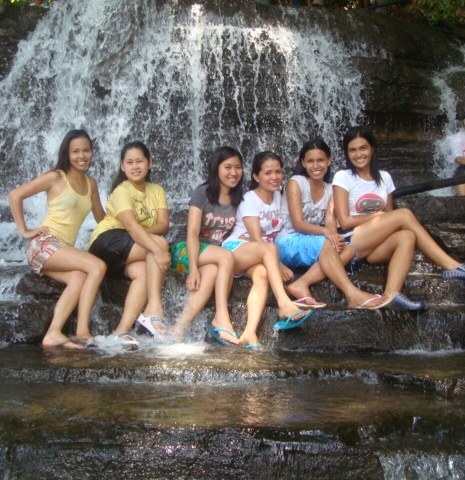 Or is it really Butuan is the best jump off? Thanks in advance!